I’ve suffered from sensitive skin since I was a child. I used to have eczema, and it still flares up from time to time. When it comes to the children, and Benjamin especially, I try and find products that are sensitive enough for their young skin. I’ve only ever used water wipes with Benjamin, as I don’t like the added ingredients other brands put in, and I’ve made sure not to use Johnsons products on him after hearing some not so pleasant stories in the press over the past couple of years. When it comes to bath time, I’ve have been using a boots own brand body and hair wash but it tends to make my eczema worse, which makes me think it’s not the best thing to be using on Benjamin’s delicate skin. A couple of weeks ago I came across the Dove bath products for babies. I love that they also come in a sensitive range and I picked up the all in one wash and body lotion for Benjamin during our weekly food shop at Asda. Benjamin tends to get fairly dry skin, especially around his tummy and bottom area so I hoped that the body lotion would combat this. I’ve been using both products during bath time for the past week and a half and both mine and Benjamin’s skin is clear plus his skin is left silky smooth! The product packaging is nice and simple and the ingredients are clearly shown on the back. The lotion is so lovely and soft and easy to apply, and the wash foams up nicely. The range is fragrance free and, as you would expect from a sensitive skincare range, is hypoallergenic. The products are also dermatologically tested and paediatrically approved. I will definitely continue using these products at bath time and would also recommend them for other parents of young babies. 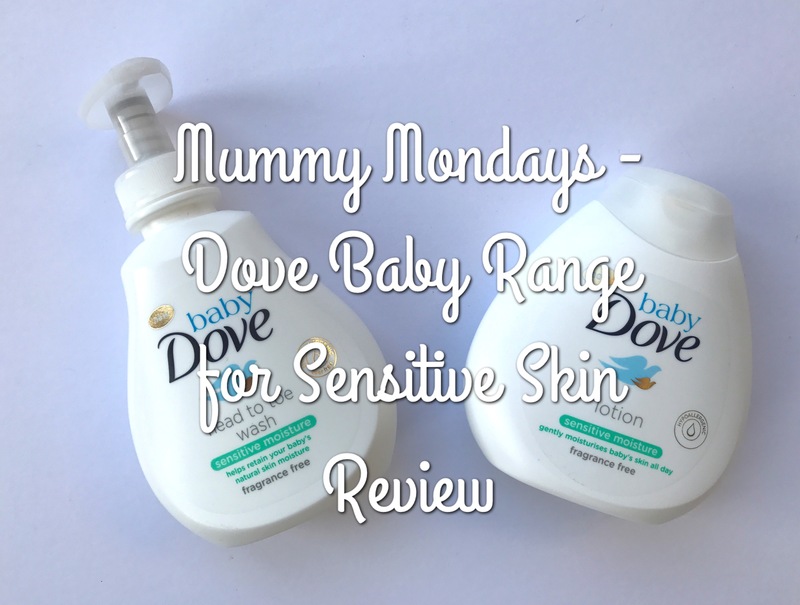 I didn’t realise Dove do a baby range, I love their adult products so will definitely give them a shot! 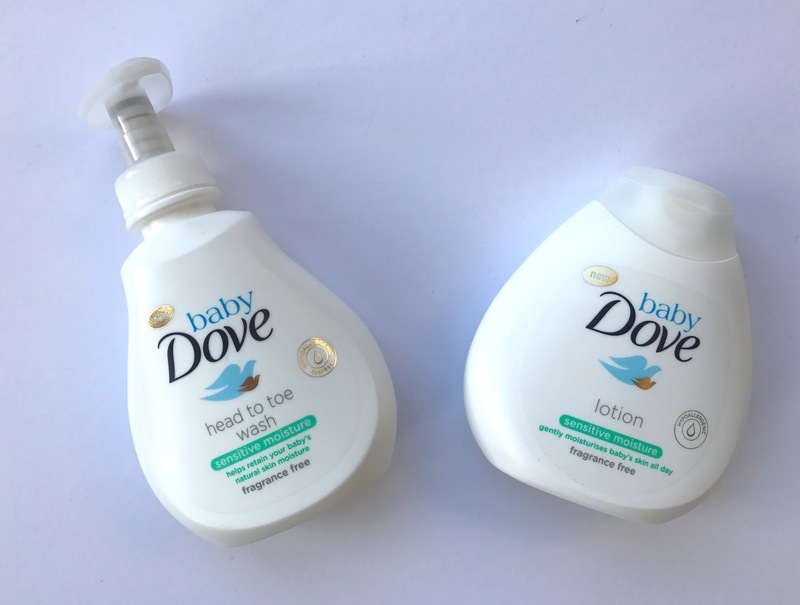 We’re actually working with Dove Baby at the minute so can’t wait to try these, dove is such a staple isn’t it, with how long it’s been around that I think I’d automatically trust their products. If I am honest, I am a total Asda girl! You can find, so many great new and old products, plus they always have great offers on water wipes, as these are the only thing I use on Leanora too! But this Dove range sounds great and I like to the pump action, as Leanora has a tendency to squirt all her bath soap out, so this will be a little tricky for her, especially with the lock mechanism.